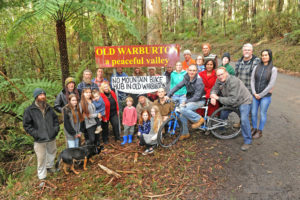 The Old Warburton Residents Association was born on the 10th of May 2018 when we held a community meeting to discuss the impacts of the Yarra Ranges Councils proposed “Mountain Bike Destination Project”. We are an Incorporated Association consisting of members who live along Old Warburton Rd in Old Warburton. We are dedicated to protecting the heritage, aesthetic and amenity of our immediate environment, Old Warburton. We are not opposed to mountain biking but believe there are some serious issues with the current proposal. Please take the time to read through our concerns.